Did Someone Say Dog Pictures? Pumpkin the Raccoon - Pumpkin the Raccoon lives with two Potcakes in the Bahamas, and their playful bond is one of the most adorable things I've ever seen. Amanda and the Sidekick Dogs - Amanda is a dog trainer that lives in Washington, and I love the photos of her colorful crew - Wren, Poe, Foggy, Sasha, Lucky and Hank - in beautiful outdoor settings. Eko and Penny - First of all, these gorgeous Rhodesian Ridgebacks are named after Lost characters, and Will has a gift for capturing their sweetest (and silliest) moments. 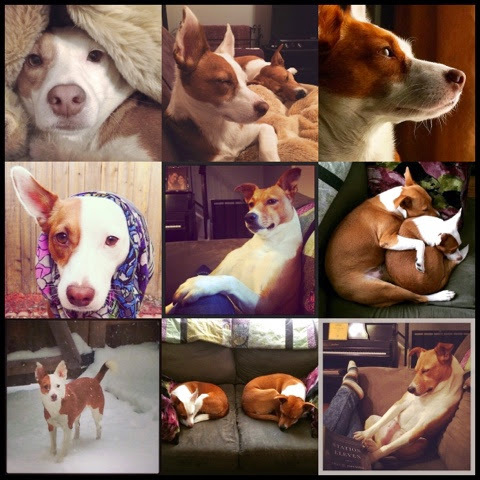 Podengo Toby - Toby is a Portuguese Podengo living in London and has the most expressive face. Of course I hope you'll also follow The Ginger Sisters for your daily dose of red and white rescue love! 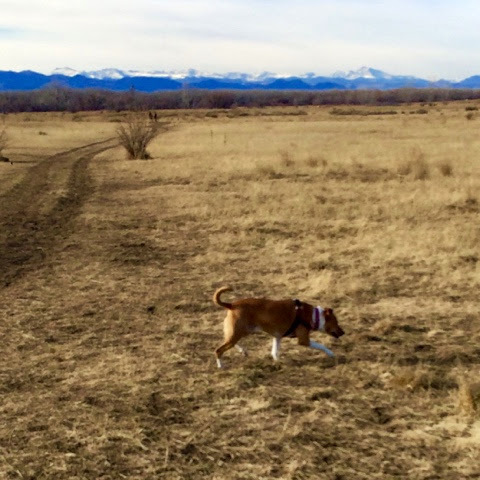 Boca's visit to a big off-leash park this past Saturday went very well, but there were a few things I left out of my narrative yesterday, since I didn't think they fit in with a leash review. Any time you have a large variety of dogs and people running amok on a substantial piece of property, there are bound to be...stories. 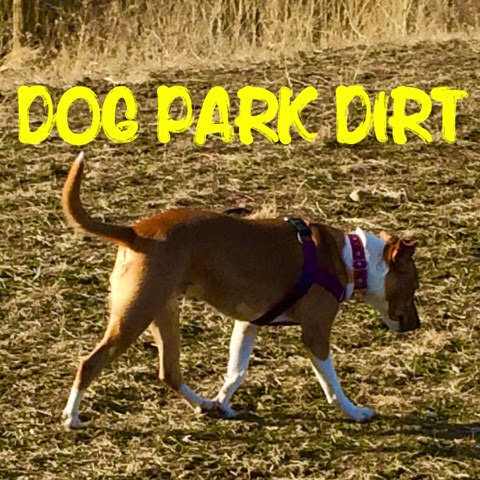 Who decides that a busy, muddy dog park, with huge dogs racing by, people navigating trails and trying to keep track of their dogs, strange dogs running, jumping, playing and greeting is a great place to leave their barely-walking little one to its own devices? Quite a few people, apparently. I dodged several knee-high kiddos toddling down the middle of the path, and my heart traveled briefly into my throat when Boca and a Chow mix intersected right in front of one for a meet & sniff. The greeting was thankfully friendly and appropriate, but the toddler nearly barreled between the dogs waving a plastic bag, the parents oblivious. I don't think a lot of people realize how quickly a situation like that can go wrong, and that a dog park is not the best place for small children. 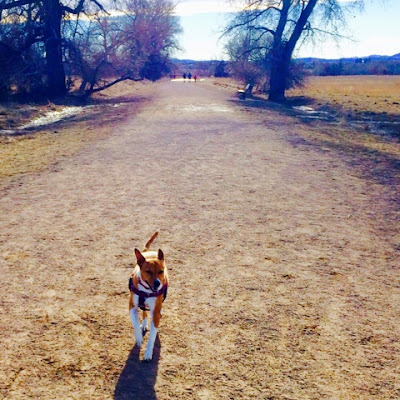 It's only a matter of time before a dog blogger talks about dog poop, right? Boca had been to the vet's office before our dog park adventure, and it had turned her stomach a bit...nervous. In my focus on her new leather leash, I neglected to bring my poop bag bag, but there were stations scattered around the dog park, so I grabbed an extra after picking up the first pile. One extra. Boca had several more bouts of...nervousness...and honestly, there was very little to...collect...but all the people that saw my dog squat repeatedly didn't know that, so I hurried after her with my one, already-full poop bag going through the motions of picking up the unpickupable. 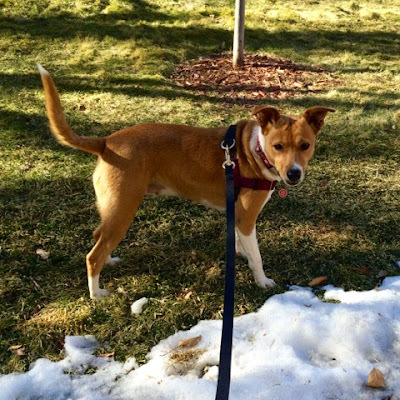 After Boca's stomach recovered, she was strolling around happily, politely greeting dogs medium and small. I have seen her get intimidated by large dogs before - in particular, she was frightened of two boisterous Bernese Mountain dogs at the Woof Pack event this summer. When I saw a gigantic Dogue de Bordeaux lumbering toward her, I watched her reaction carefully. Her tail went between her legs as the dog approached, and she shrunk back. The dog seemed young and jolly and continued to advance, and that's when Boca opened her mouth wide and emitted her shrill screech. It's a noise that's difficult to describe - halfway between a whine and a scream - and one she makes when she and Ruby are playing bitey-face, so its message is not always one of "get the hell away from me, monstrous mastiff," but this time it was. The Dogue de Bordeaux looked just as shocked as the people that heard Boca's banshee howl, and trundled off in search of more receptive playmates. In my fifteen years of dog ownership I've never had a leather leash, so I was happy to try out the Lavien six foot leash. We'd been using it for walks for several weeks, but Boca had a big day on Saturday and I thought we would make our rounds in style. The leash has a sturdy gold-tone clasp (I'd actually prefer silver as pictured in the link, but the gold is nice), strong stitching, and a hefty weight to it. One thing I really like about the leather is that it's comfortable to grip at any point, so even though six feet can feel a bit long in some settings, it's easy to shorten when needed. We had such amazing weather this weekend - a lot of the snow has melted and Boca was happy to feel the grass on her paws again! 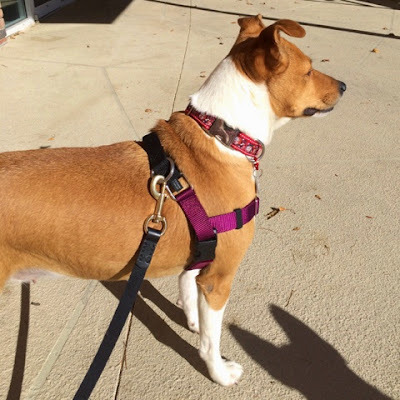 We had a nice walk around the complex with Ruby before heading out for our errands: Boca had a vet appointment to have her eye checked - her right eye, the same one with a Florida spot, had been watery and squinty for a few days. I also planned to take her to try on some more durable dog boots - despite these sunny January days, we've still got months of snow, ice and salt ahead. Boca was so good at the vet's office - the staff love her and one of the techs also has a foster failure Potcake! We waited our turn and the vet thinks that Boca may have some allergies causing her eyes to be irritated. She examined Boca's eye, prescribed some ointment that I already had left over from Ruby's eye injury and Benadryl, and sent us on our way with no charge! She called it a "sanity visit" - I love my vet! 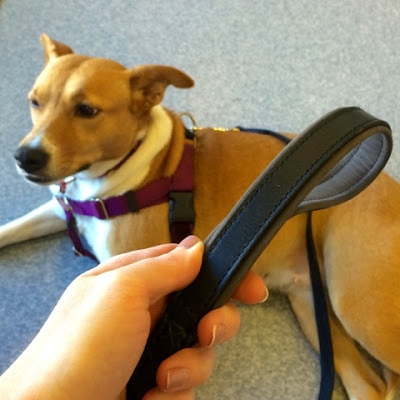 In the picture above you can see the nice, padded handle on the Lavien leash. I thought Boca deserved a reward for being so well behaved, and since we were nearby a huge dog park, I decided we would go. Dog parks make me nervous in general and Ruby gets too overwhelmed so we go very rarely, but Boca has a much more laid back personality, and I also thought it was a good opportunity to see just how reliable that recall of hers is. We walked a little ways before I unclipped her leash, and I immediately called her back a few times to make sure she would come - did she ever! Each time, Boca turned and ran to me with a huge smile, and you can bet I had treats on hand to reward her (I know this a little bit of dog park no-no, but this place is enormous and we had plenty of space). I have our obedience class and our relationship of love and trust to thank for installing an awesome recall. Boca doesn't have the proclivity for tricks that Ruby does, but she knows the most important cue of all. I really enjoyed having some one-on-one time with my wonderful Potcake. Disclaimer: I was provided a Lavien leather leash in exchange for my honest review. All opinions expressed are my own and I only publish reviews for products I feel comfortable using in the day to day life of my pets. 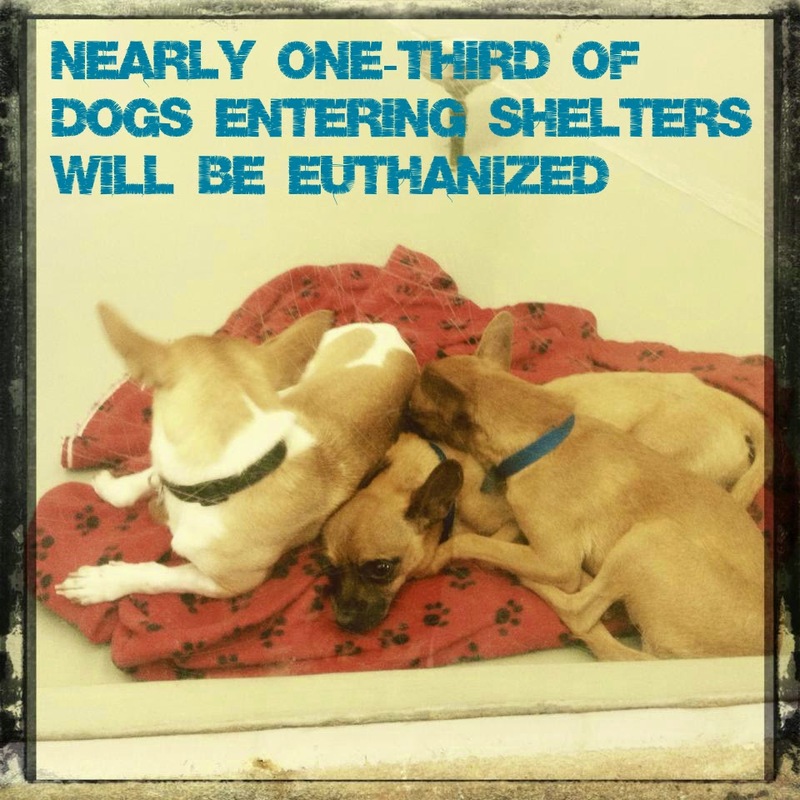 I took these pictures in July, 2013 when I visited a local shelter. I already had my heart set on Ruby and had completed her adoption application, but I could easily have taken any of these sweet dogs. Sometimes I fantasize about raising that "perfect puppy", the one that comes from a responsible breeder with sound, stable parents and a loving, enriching environment for early development. 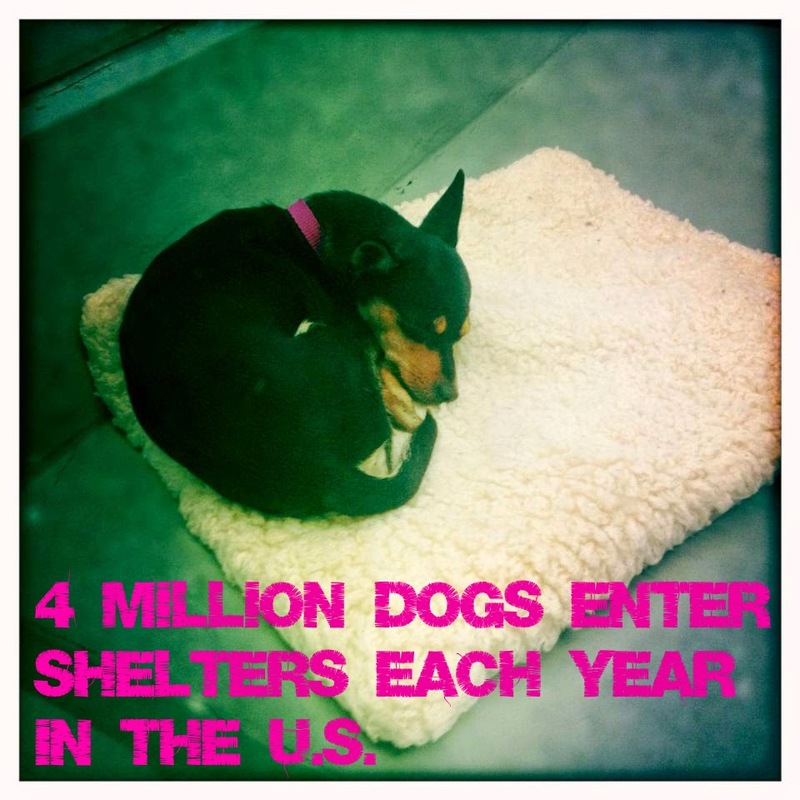 I've adopted seven shelter pets in my adult life and I grew up with many more. Through Ruby, I have learned of the desperate conditions for stray dogs in other parts of the country, and through Boca I have learned about the plight of the wonderful potcakes and street dogs around the world. 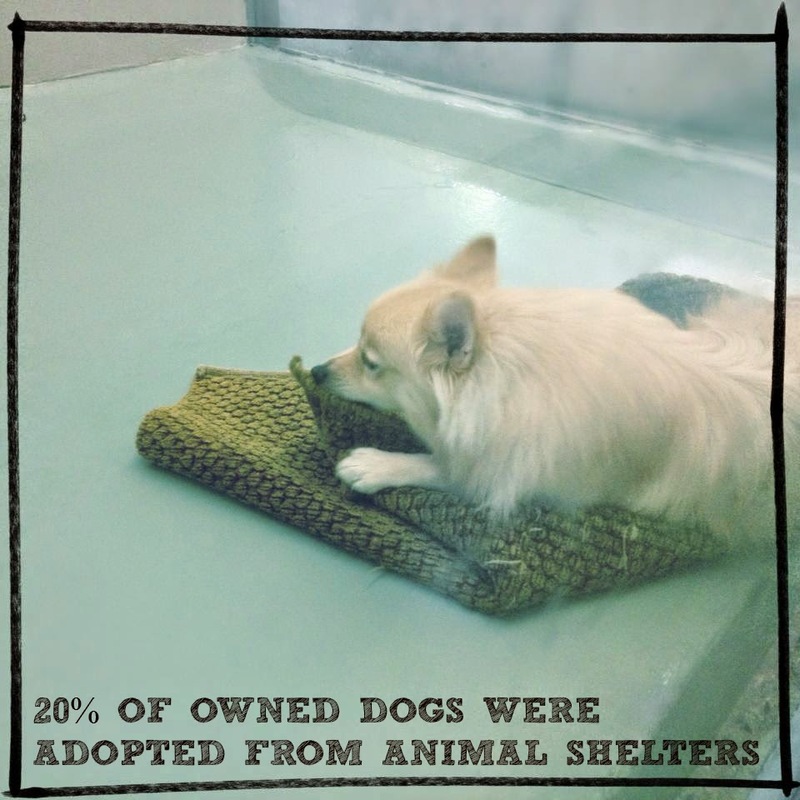 Knowing that I can walk into any shelter or visit any rescue site and see a dozen dogs I'd happily bring home, the truth is I will probably always adopt. 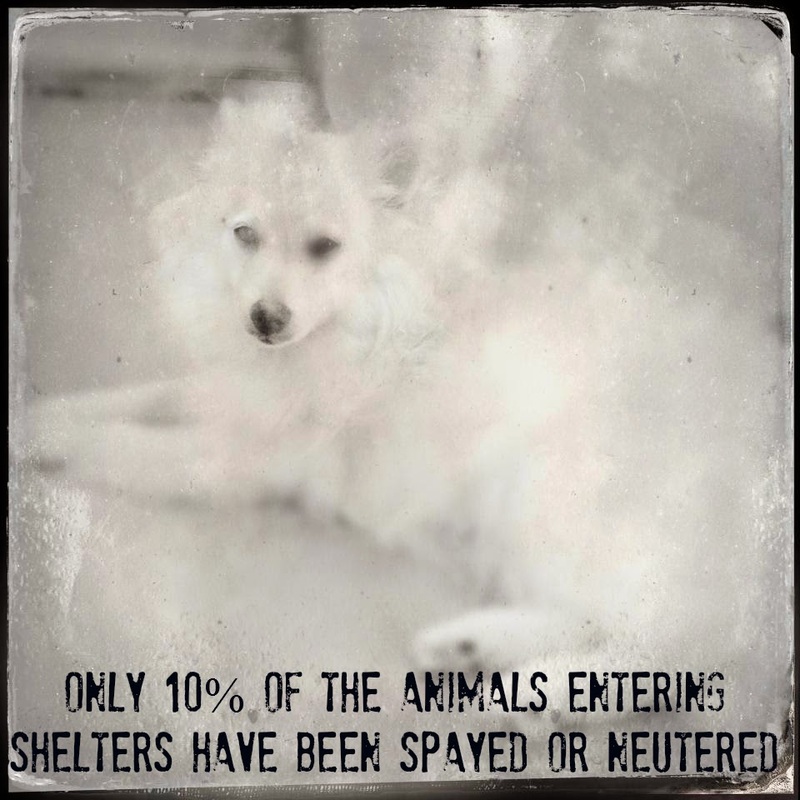 Please consider the millions of animals waiting in shelters before you breed or buy, and encourage your friends and family to do the same. Let's work together to change these numbers. Let's bring them - and keep them - home. All statistics courtesy of ASPCA and HSUS and are approximate for the U.S.
Edited to add for clarification: I have no problem with loving certain breeds, and if people who do their research are looking for a specific dog for a specific job or sport, I don't fault them for choosing a reputable breeder. I think that people with young children are also good candidates for breed research and responsibly bred, purebred puppies. 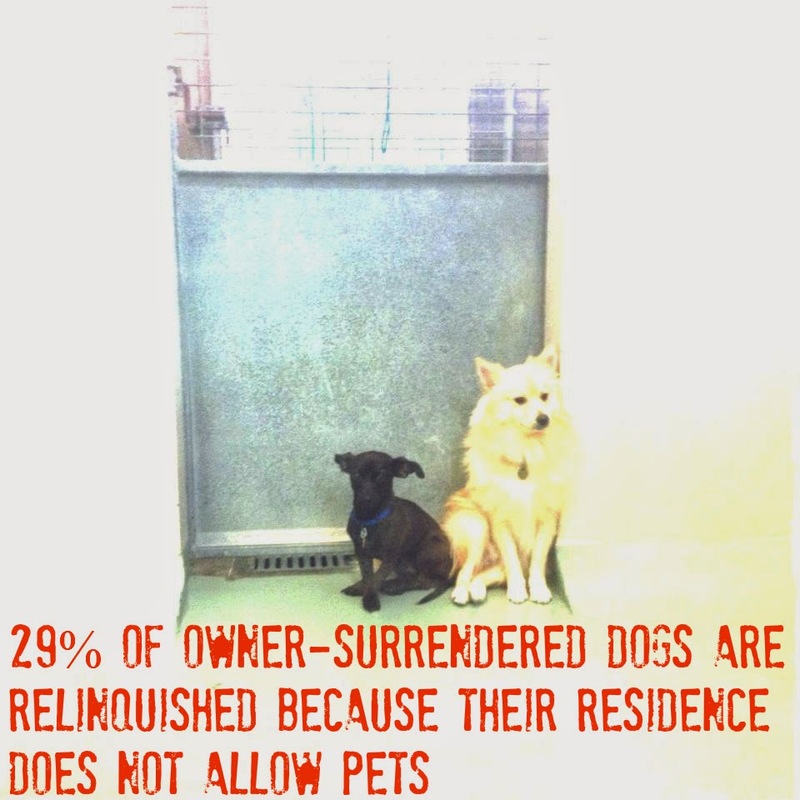 In general though, the average person looking for a nice pet should have no trouble finding one at a shelter or rescue organization, even when a particular breed is wanted. Ruby loves to burrow under blankets and then look really smug about it. Recently The Ginger Sisters were sent a new toy to review, the Puller. 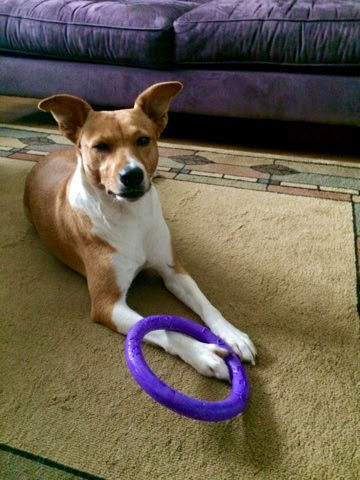 It is a simple ring toy that comes in one of my favorite colors: purple! The Puller is made of a unique material that was unlike any other toy I've seen, a kind of dense foam. The company promotes the toy as a "training device" which can solve virtually every health and behavior problem. 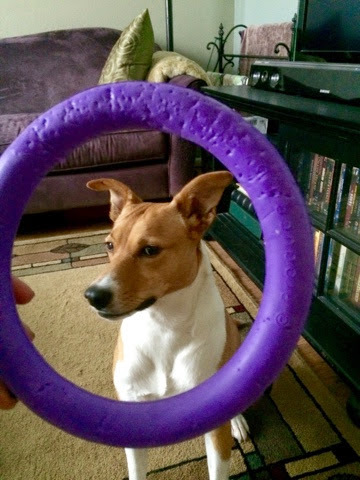 While I find this a bit hyperbolic, I do believe this is great toy for many dogs and I know that it's become a favorite of some of my fellow bloggers. The Puller comes in sets of two along with instructions for three different exercises or games which incorporate running, jumping and pulling. 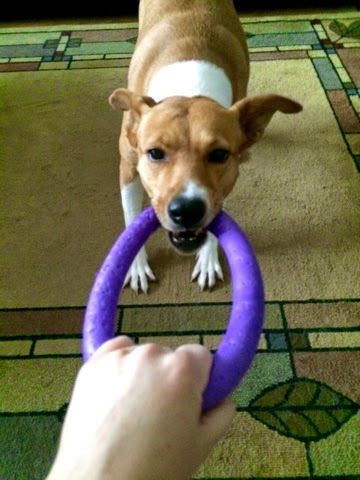 We unfortunately don't have the space for the fetch games, so it is utilized as a tug toy at my house. The standard size was too big for Boca to grab comfortably, so we used the mini set. 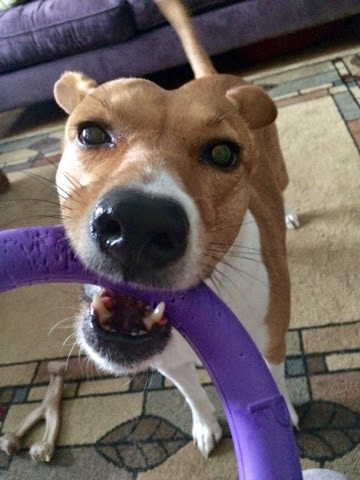 As you can see, she is quite enthusiastic about tugging! Ruby, who is usually my toy fiend, was not interested in The Puller which surprised me; however, I've found some ways to use it as a training tool! 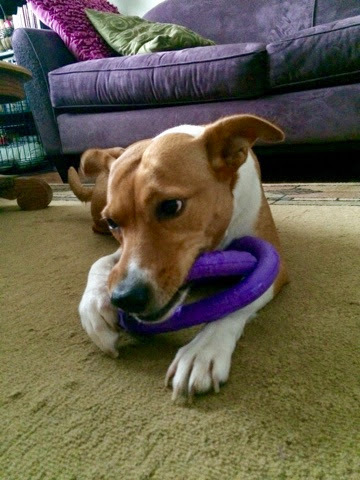 Since she isn't naturally interested in taking it in her mouth, it is a great thing to use to shape "take" for later trick training. I have also used it for touch/target and for body awareness by placing it on the floor and having Ruby put one or two paws inside the ring. While The Puller is fairly durable, it is not meant to be used as a chew toy. Boca is always fishing it out of the toy box, but if left unsupervised I think she would soon have it torn to pieces. We reserve it for dedicated games of tug. I'm really happy to have found a toy that Boca enjoys so much, since I like to have one-on-one play time with each dog. If we had a yard I think we could have even more fun with it. The Puller can be purchased on Amazon - the mini set is particularly reasonable and is appropriate for dogs Boca's size (35 lbs) and under. Disclaimer: I was provided two sets of Puller toys in exchange for my honest review. All opinions expressed are my own and I only publish reviews for products I feel comfortable using in the day to day life of my pets. 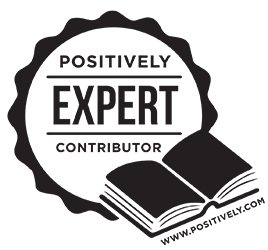 This month, I was honored to be asked to co-host the Positive Pet Training Blog Hop along with Cascadian Nomads and Tenacious Little Terrier. 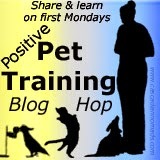 Please join us as we talk about the rewards of positive training methods on every first Monday of the month. January's theme is "Goals." As the owner of a reactive dog, I incorporate a great deal of management into our daily routines. Management is a very important aspect of any positive training protocol, and is more about changing our own behavior than our dog's. 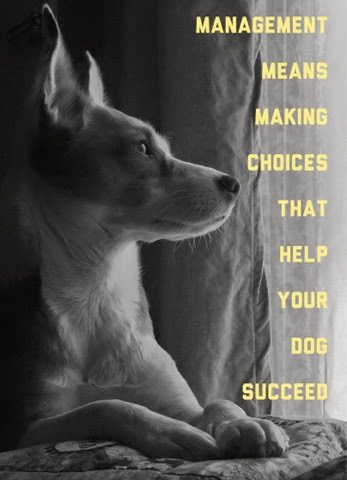 Management means making choices that help your dog succeed, so that training can happen and training can work. Management means not asking too much of your dog in a stressful or distracting situation and it means reducing stress and distractions. My Chow mix, Lasya was nearly perfect, but she did have an aggravating habit of getting into the kitchen trash. I can't tell you how many times I came home from work to find the house strewn with licked-clean cans, shredded wrappers, and the rest of the disgusting contents. Back then I did a lot of yelling, which only served to teach my dogs that sometimes I got mad when I got home after they'd enjoyed an awesome garbage buffet. Eventually I got a little smarter and started putting my trash can outside before I left for work. Problem solved. I no longer came home to a mess and my dogs stopped worrying about unpredictable appearances of the crazy lady. Management isn't cheating - it is analyzing a problem and staying a step ahead of our dogs. We are supposed to be the more advanced thinkers, after all! Management isn't fool-proof. Sometimes I still forgot to put the trash can outside and was greeted with a house that looked like a rock-star's trashed hotel room. I didn't yell anymore though, because I'd rightfully transferred the responsibility from my dogs to myself. I forgot, I failed, and it was my mess to clean up. If I was mad at anyone, I was mad at myself, but the whole experience led me to lighten up and look ahead. I'd do better tomorrow. I'd remember to put the trash outside tomorrow. Management allows us to be a little easier on ourselves and our dogs, because it can always be improved upon. One of my very best management solutions with Ruby was putting window film on my front window. For a dog who is extremely reactive to everything that moves, desensitization and counter-conditioning can be a daunting task. I was already struggling with our walks in the big wide world and wanted to make our home a safe and peaceful environment, which I couldn't do with Ruby on high alert on the back of the sofa. I installed a frosted window film which greatly improved our quality of life. Less barking, less stress for us both. Management means working out training issues with creative solutions. 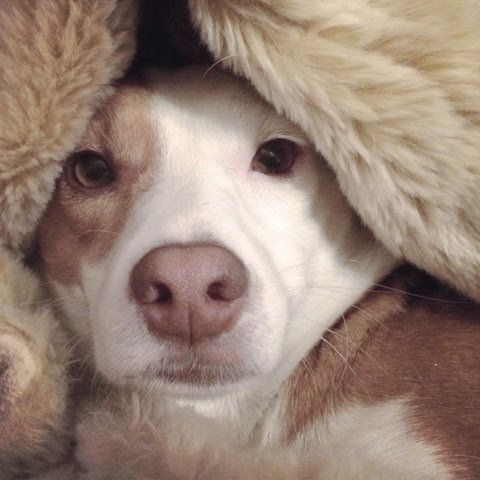 It can be as simple as putting your nervous dog in a quiet room when you have company or changing your walk schedule to avoid encountering other dogs or people. 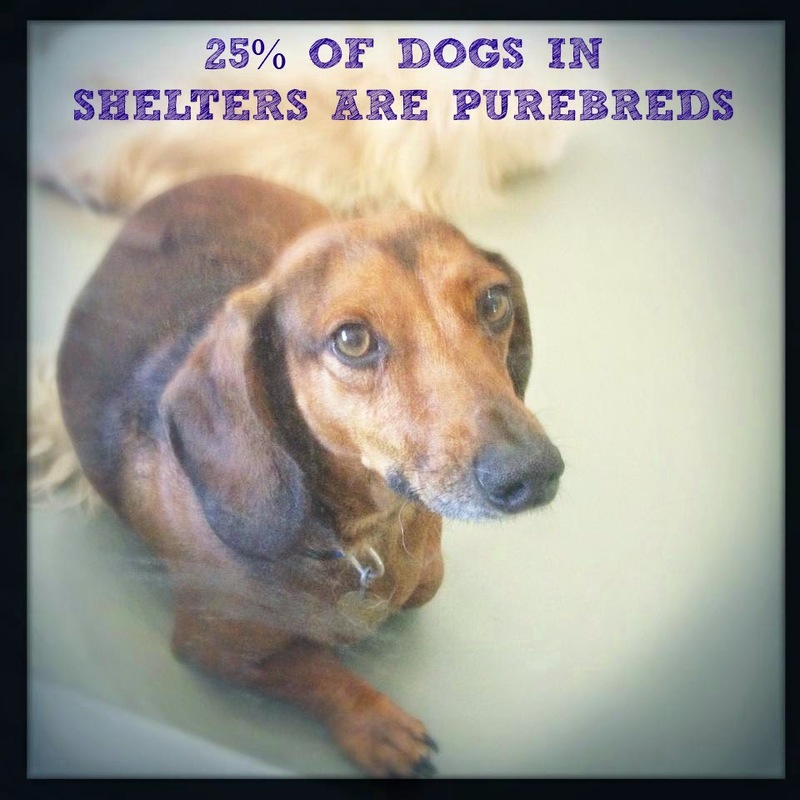 The important part is being on your dog's side and helping them be the best they can be. If you are working on your training goals for the year, ask yourself how you might streamline or accelerate those goals through management, training in the right environment and setting your dog up for success. 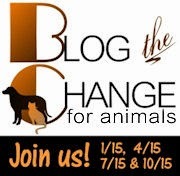 I'm delighted to again be participating in the Pet Blogger's Gift Exchange hosted by Something Wagging This Way Comes. This year I was paired with Aimee from Irresistible Pets. 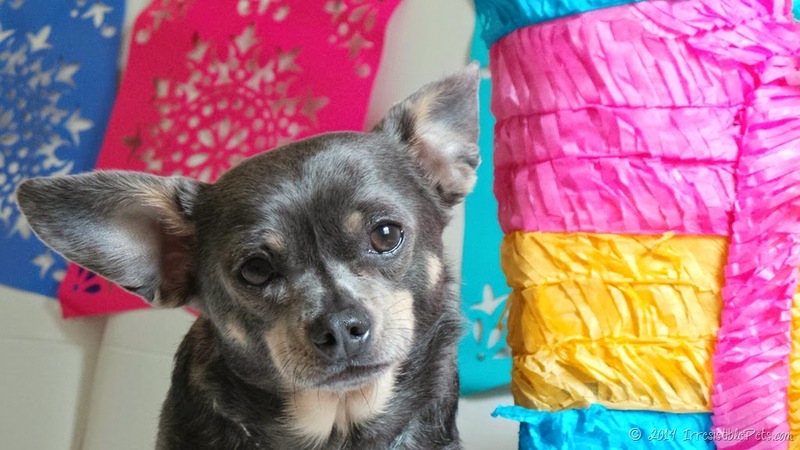 Aimee lives in Virgina Beach and has been blogging fabulously about making your own pet toys, treats, apparel and decor with the help of her adorable 5-year-old Chihuahua, Chuy, since 2010. 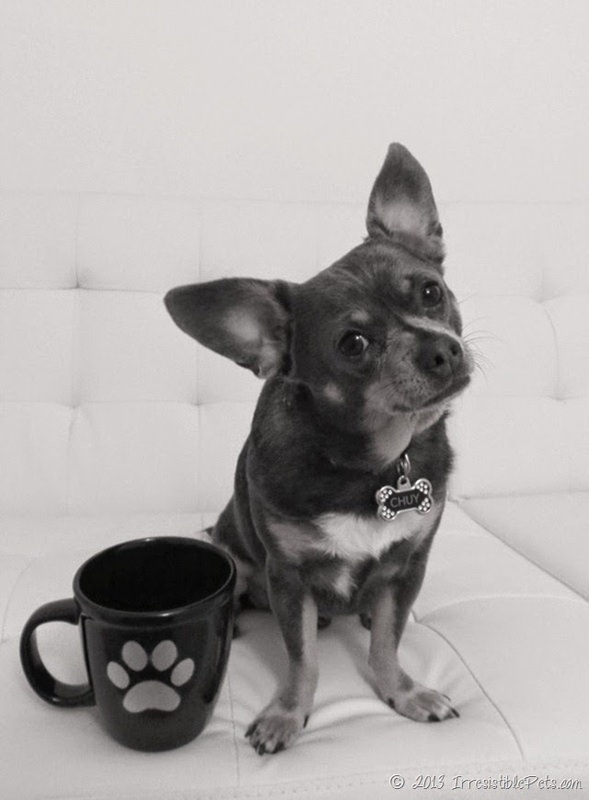 Chuy is the perfect model and taste-taster for Aimee's many creative projects. 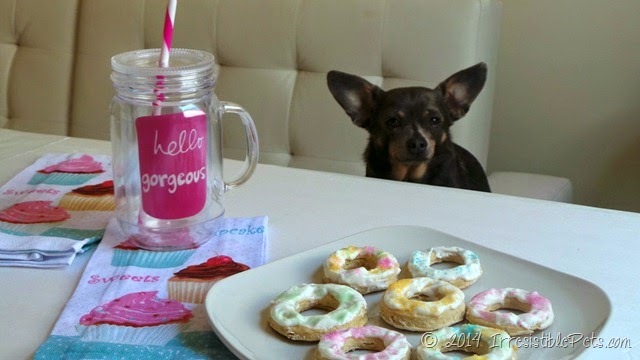 These treat jars were the inspiration for my own treat station! How cute is this Winter Wonderland dog sweater? Time to make the frosted dog donuts! I'm literally drooling over these awesome DIY dog bookends. 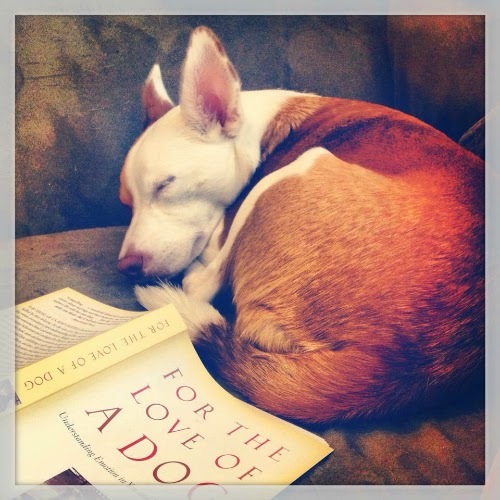 I especially love her pet-friendly travelogues, such as this guide to Charlottesville. Chuy lives life to the fullest, celebrating everything from Valentine's Day to Halloween in style. I would like to try my hand at more pet-centric projects this year, as I miss my more artistic days, and I know that Irresistible Pets is going to be one of my first stops as I collect ideas on Pinterest. 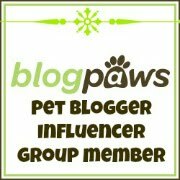 I absolutely love this exchange as a way to connect with other bloggers and share the many ways we can enjoy life with our beloved dogs. Happy New Year, Aimee & Chuy - can't wait to see what you'll wow us with next!